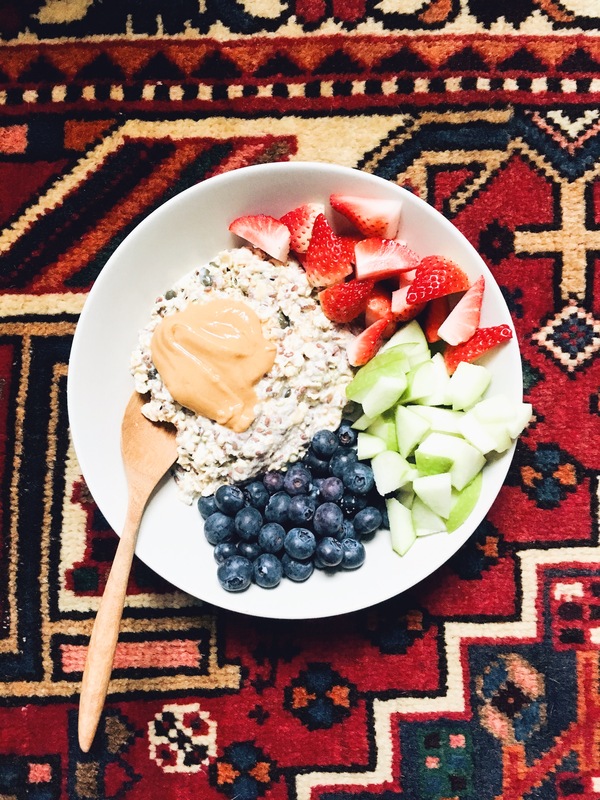 Gut friendly bircher muesli recipe. Honestly, this will be the best bircher you have EVER tasted. The seeds provide such an abundance of nutrition that you will be buzzing around for the whole day. I like to prep it the night before so it is all ready to go the next morning. Milk of your choice to cover the mixture. You can also serve it with any kind of yoghurt and even some nut butter to get some added protein and good unsaturated fats. Pour all the dry ingredients into a jar and mix them together (excluding apple/fresh berries, milk and yoghurt). Then pour as much as you want to eat the next day into a container, cover it with milk and set it in the fridge for 12 hours. The next morning, take it out and serve it with the berries, apple, yoghurt and/or nut butter. YUM! Image above is my own. Next Is going gluten-free the healthier option? © Emily Burch and Sprout Journal. Unauthorized use and/or duplication of the material without express and written permission from this site’s author and/or owner is not prohibited. You are solely responsible for obtaining written permission before re-using any copyrighted material that is available on this website.